DogSmiths do not alter or change client testimonials in any way. The testimonials written here are exactly as they were received. 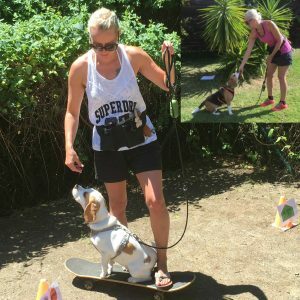 Louise Stapleton is a very positive and driven dogtrainer and it’s nice to see she loves all dogs, little of big, young or older. The dogs really like her and within a few minutes dogs are naturally coming to her. 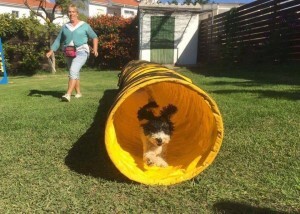 We are very happy to visit Louise regularly with our little dog because he is learning but also having a great time! Our dogs love to train with Louise. They are happier and more motivated to work with us than before the training sessions with Louise. We will absolutely continue with group classes and can highly recommend also private classes. We love how well Louise works with different kind of dogs and are happy that she always has time for questions. Lottie loved Louise and the private lessons. 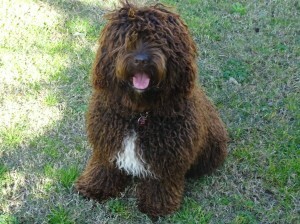 Lottie is 8 months old and has gotten off to a great start. Found her treat which was surprisingly balls. A very kind method of training and it works. 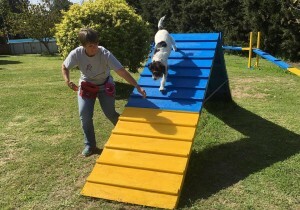 Will be joining the group classes for tricks and then agility. Now it is practice practice and more practice. It was a pleasure not just for me but I know Caesar looks forward to his manners class every Saturday. It has helped me to learn to teach Caesar in the correct way.I look forward to the next course. Thank you, Louise. For a good, fun way of learning to train your dog I can thoroughly recommend Louise, who has chosen to share her professionalism and knowledge with us! 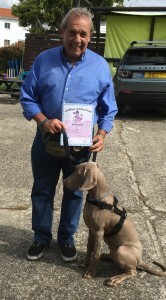 I have attended many dog training courses over the years but of course there is always a different approach from different people and also the approach to training has changed over the years.I can say that Skye has come on so well and of course the best part of it all is she had so much fun doing it, as did I. 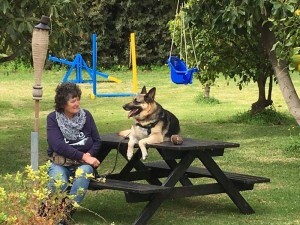 Every week when we set off she would become excited and so happy to be attending her ‘classes’, all the dogs just love Louise and let’s face it – they are the best judge of character! 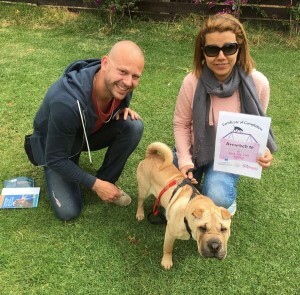 When attending classes at Happy dogs Estepona, I’ve found that happy dogs is exactly what you come away with, they are happy to arrive, happy to take part and so happy to learn and I couldn’t ask for more! My dogs have never loved anything as much as they love these classes. When I attended my first course, Louise had her worked cut out with me! But she was so kind and didn’t mind constantly having to repeat herself and not because of the dogs it was just for me! Having attended other training classes, that I had thought were ok, from my first day I thought I had gone from Primary school straight to university! I’ve been taught so much; I just can’t believe how it’s changed mine and my dogs’ lives. I’ve been taking my dogs Skye and Bella to Happy Dogs Estepona for a while now as they both thoroughly enjoy it. The classes are both fun and informative plus Louise takes a lot of time addressing any issues we might have individually which I think is fantastic. I have attended her scent and tricks classes and found my dogs to really enjoy them and be suitably tired at the end which is always a plus. The area is quite big which helps spacing out between dogs and owners too which makes it perfect. 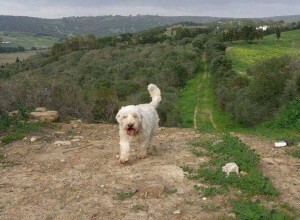 I took my eight-year-old dog to the Ambassador class with Louise and she absolutely loved it. She’s never had any kind of training before as we live in a rural area and she is always running free. Within one class she was walking nicely on a lead and generally having a fantastic time – especially with all the treats she ate. Louise has a calm, professional training technique and this is reflected in the progress the dogs make so quickly.